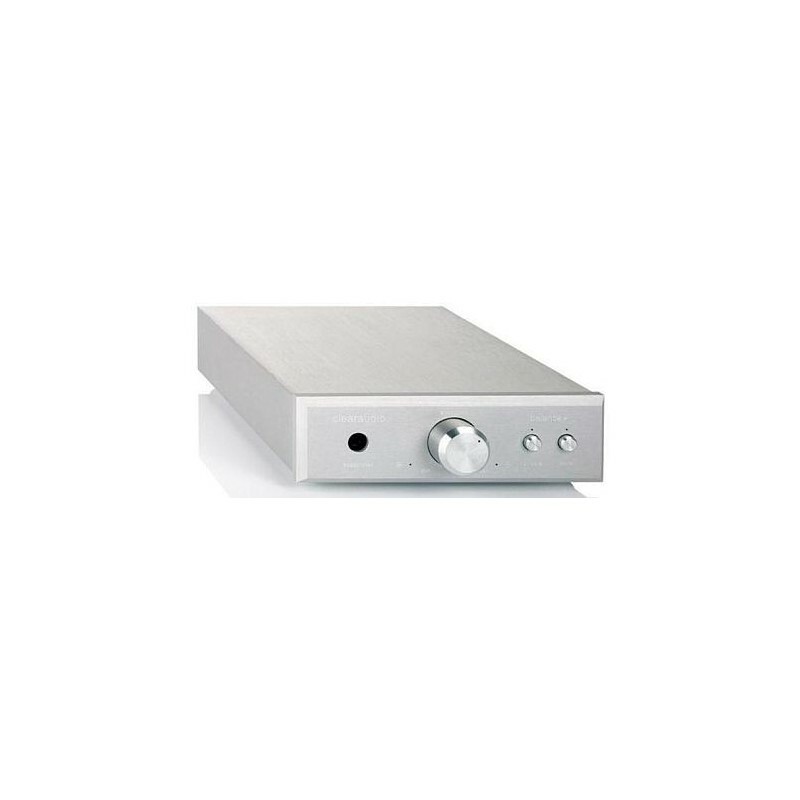 This high-end preamplifier comes with two anti-resonance and non-magnetic housings, made of beautiful brushed aluminium blocks. 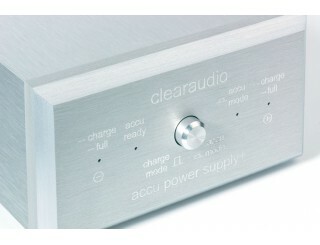 One of the housings covers RIAA accuracy and the other the power supply with filters and regulations. 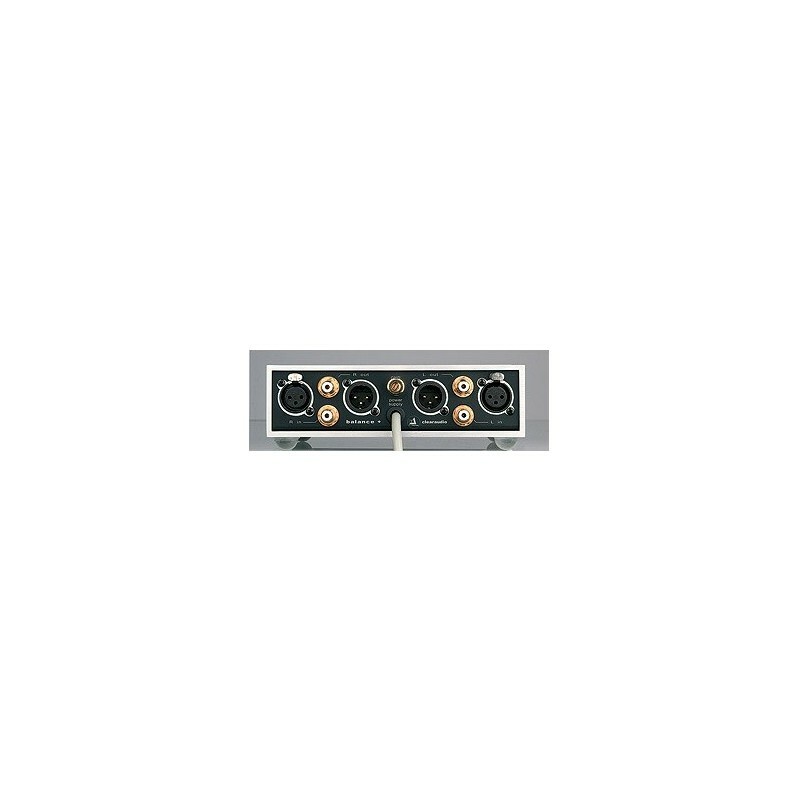 The rear panel features two beautifully-crafted pairs of gold-plated RCA (inputs and outputs), as well as XLR symmetrical outputs and a terminal that accepts an earthing wire or a banana plug for your vinyl turntable ground, if it has one. The underside of the Balance Plus features various controls: Two push buttons for selecting the cartridge type (MM or MC). Two other buttons activate the subsonic filter to limit extremely low bass frequencies and prevent frequency locking. And finally, also a selection between XLR and RCA outputs. 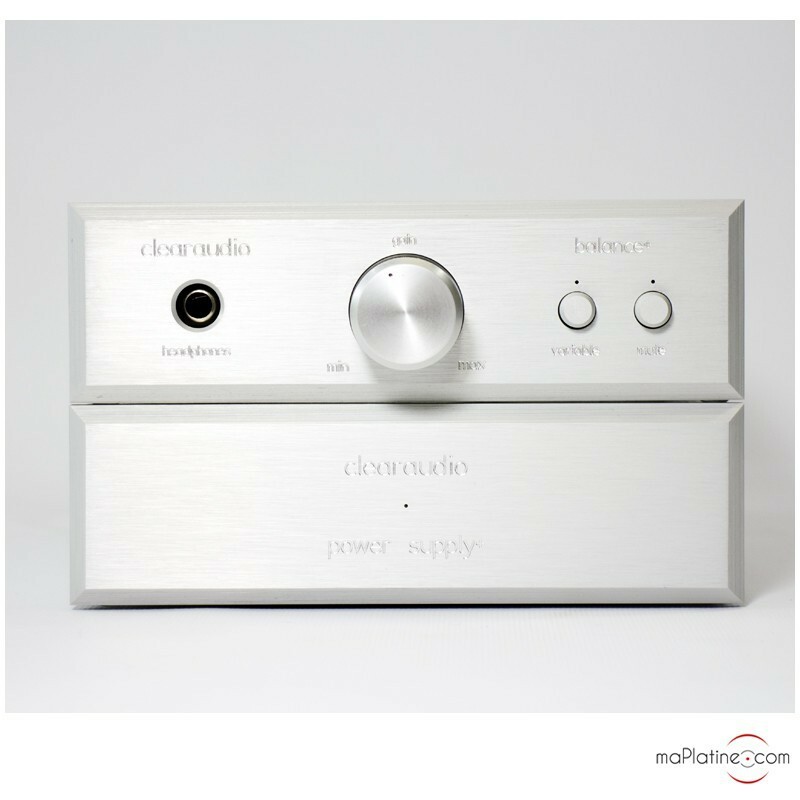 Note: these adjustments are separate for both channels as this preamplifier has a dual mono architecture. 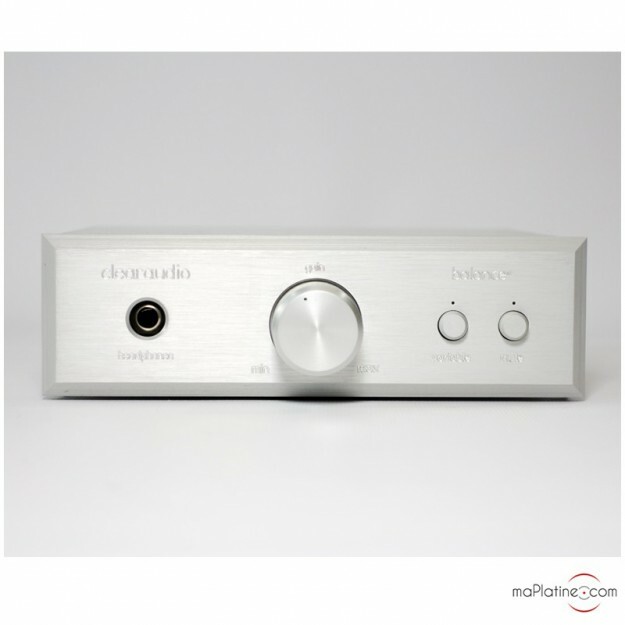 The front panel features a headphone jack, a mute button, a fixed/variable volume selector and a gain button. 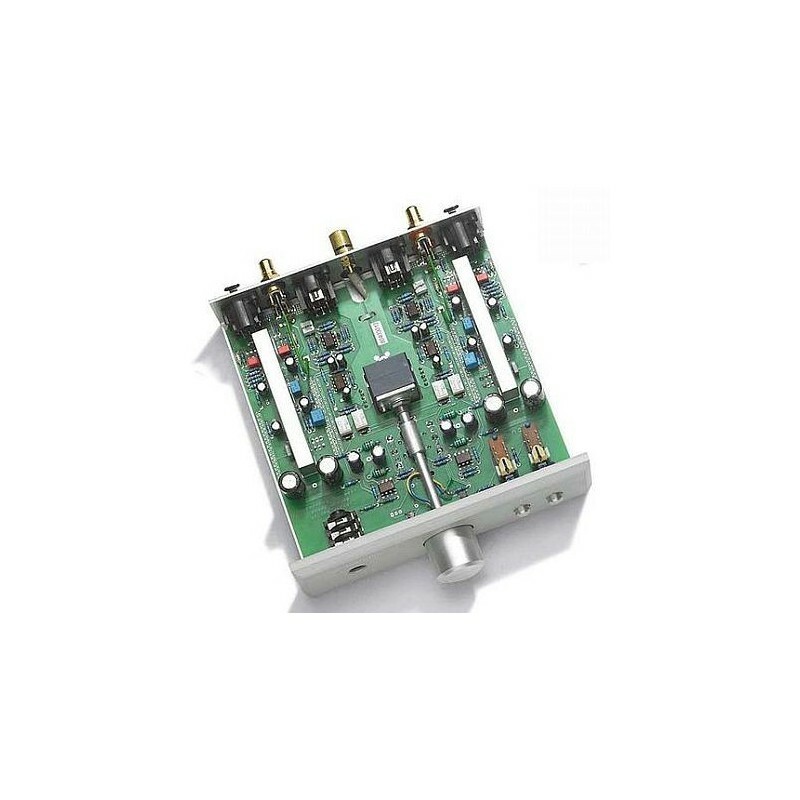 The state-of-the-art internal components are optimally arranged with very short connectors to minimise noise and retain the dynamics and signal fidelity. 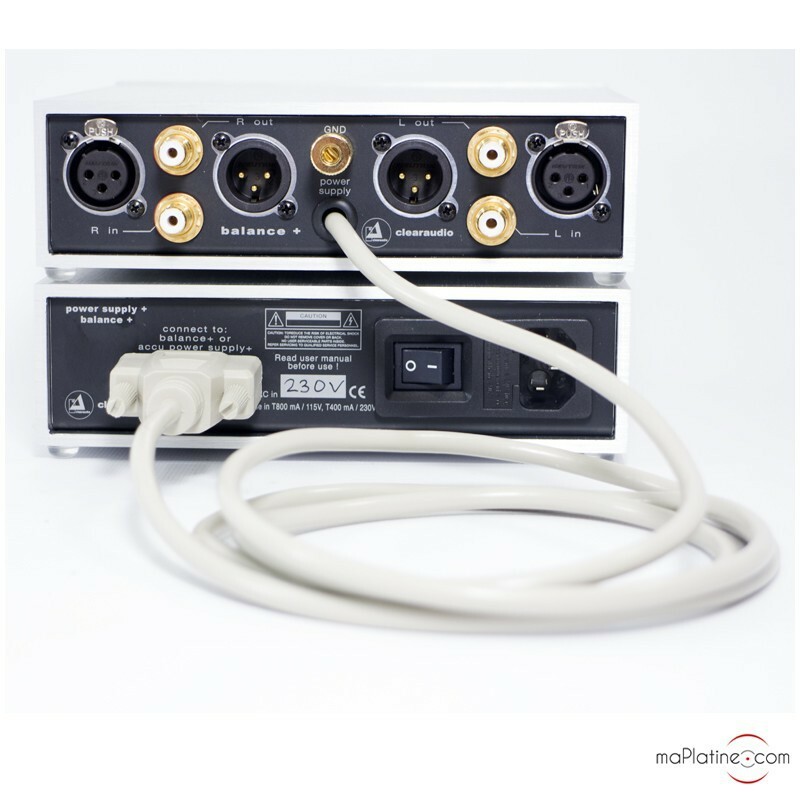 The cartridge impedance is automatically detected and compensated. Don't look for the on/off switch...there is none on the Balance Plus. This is not for energy saving purposes, but to ensure that it stays on continually and that the circuits stay powered for best musicality. This preamplifier features RCA and XLR outputs and a superb highly symmetrical build, exclusive for this price range. Obviously, Clearaudio designed it to be perfectly compatible with its own MM and MC cartridges, though it is also compatible with other cartridges. The sound is full of enthusiasm and punchy, the bass is impressive yet tight and amazingly well articulated. The sound stage is wide and very precise. The vocals are extremely pure with amazing presence. 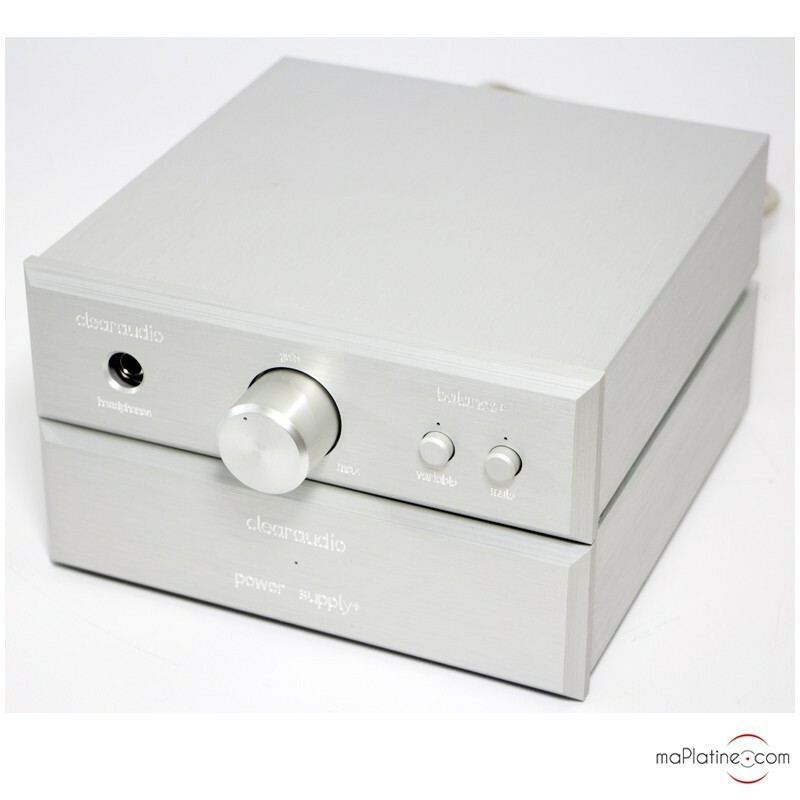 The transparency is amazing with more details than with competitor preamplifiers. The uniformity of the sound sets an example. 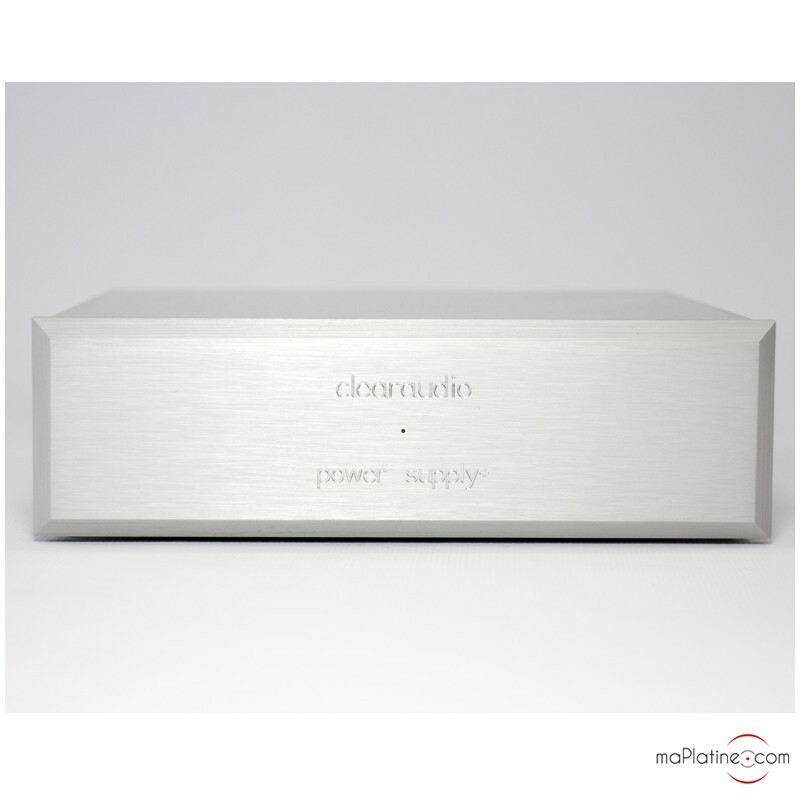 For best results, the manufacturer recommends that lucky owners of a '+' preamplifier add the battery-powered Accu Plus power supply. It wards off background noise and distortion, delivering amazing transparency and precision. 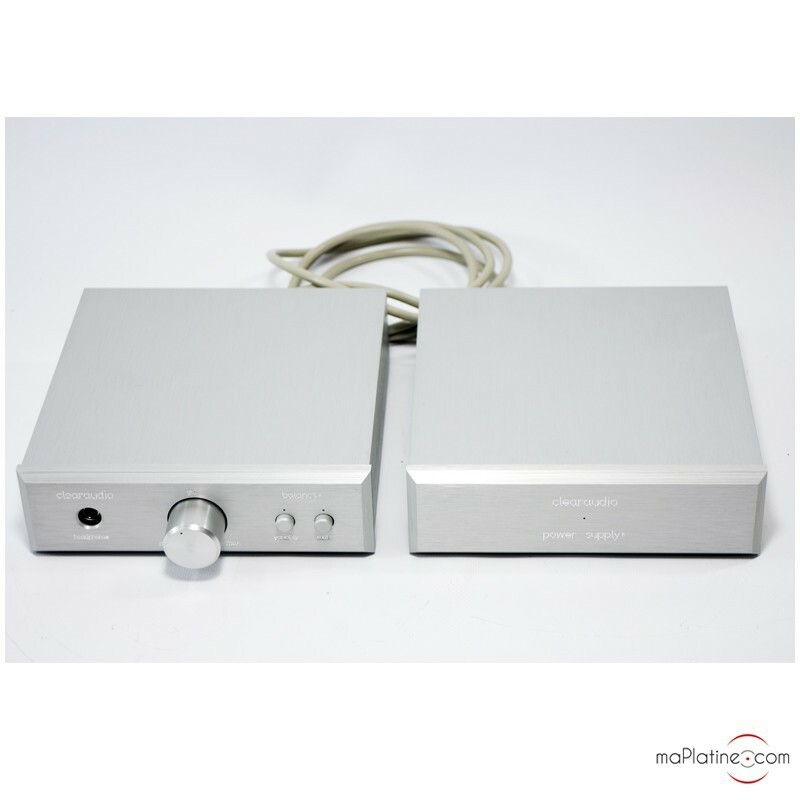 This preamplifier is ideal for all the best turntables and cartridges on the market and will delight owners of a preamplifier with symmetrical inputs that will deliver their best performances with this product. Definitely one of the best in its category… A benchmark!